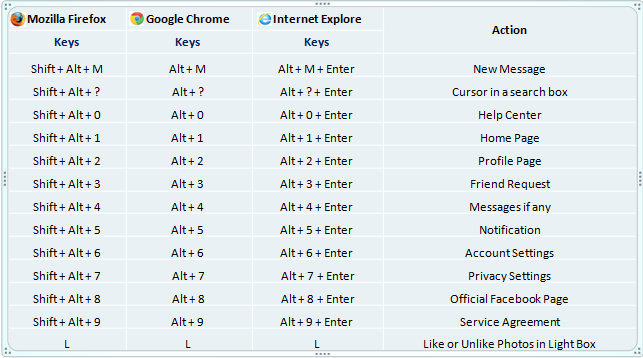 Key board shortcuts are always a mile stone and in my previous post I described about Internet Explorer and Windows 8 keyboard shortcuts. We are all social network users and almost everyone have the Facebook account. 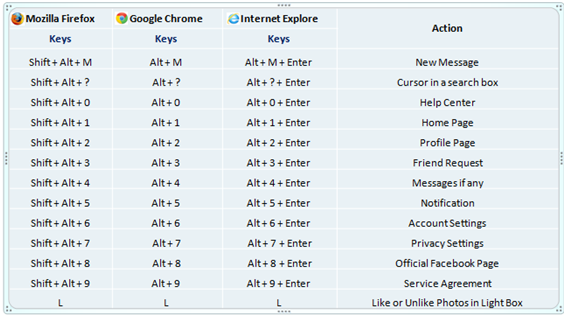 Here I would like to share the common Facebook Shortcut Keys which you can use in top 3 Internet browsers.